The Neutrik NC3MPR-HD Heavy Duty 3-Pole XLR Chassis Connector is a completely sealed solution, perfect for outdoor use. Designed to be used in weatherproof and industrial applications, the NC3MPR-HD boasts an IP65 rating, and is equipped with a sealing gasket for water-tight panel mounting. 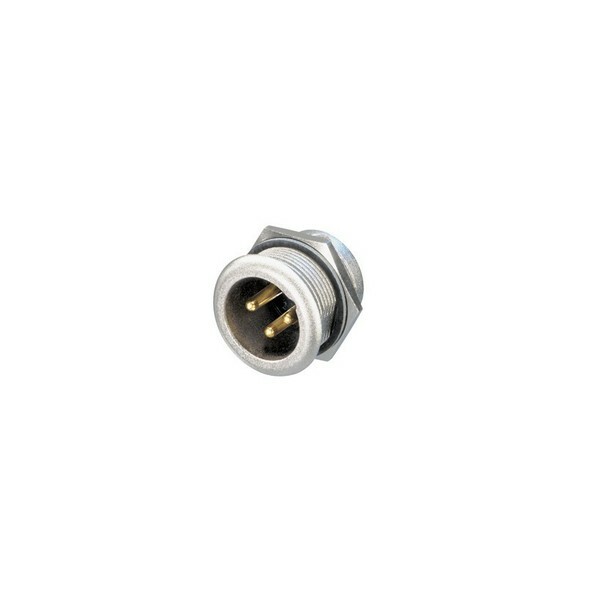 This 3-pole XLR chassis connector features gold-plated contacts within a robust die-cast zinc shell, whilst a steel Ck67 latch lock ensures optimum connectivity. This heavy duty unit comes complete with a fastening nut, and is perfectly suited to a wide range of applications.